"Please explain to us how ERISA gives DOL jurisdiction over an individuals relationship with a personal investment advisor, said Rep. Hal Rogers, R-Ky.
House Appropriations Committee Chairman Hal Rogers, R-Ky., questioned the Department of Labor’s authority to change the definition of fiduciary for retirement advisors during the DOL’s budget hearing with the Labor, Health and Human Services, Education, and Related Agencies subcommittee on Tuesday morning. Rogers, addressing DOL Secretary Thomas Perez, began by saying that the Department of Labor’s jurisdiction lies over the federal pension laws and regulations through the Employee Retirement Income Security Act (ERISA). 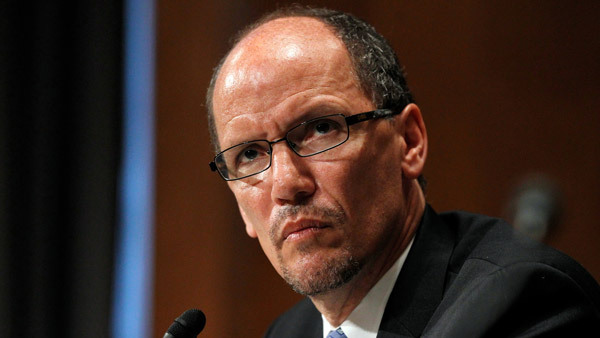 Perez responded by saying that both the DOL and the Securities and Exchange Commission have a shared interest in a fiduciary rulemaking. Rogers also questioned Perez on how much the SEC has been involved in the DOL proposal – a question that has been getting a lot of attention lately. This isn’t the first time Perez has had to answer this question. Perez told Rogers: “We sent a letter … in response to an inquiry from Chairman [John] Kline that gets into basically everything that you’ve asked. And outlines in great detail the significant collaboration we’ve had – including I think eight or nine meetings I’ve had with Chairwoman Mary Jo White in this process.” Perez is referring to a request from Rep. John Kline, R-Minn., chairman of the House Education and the Workforce Committee, and Rep. Phil Roe, R-Tenn., chairman of the Health, Employment, Labor and Pensions Subcommittee, to furnish to them by March 18 all of the correspondence between the DOL and the SEC regarding DOL’s fiduciary redraft. Their letter also addressed Gallagher’s concerns. Once that proposed rule is out, Perez said, they will have the next period of comment. Rogers asked Perez if he thought SEC Commissioner Gallagher would be happy with the proposal.